Ever since Volkswagen revealed the seventh generation Jetta GLI at the 2019 Chicago Auto Show, we've been wondering if this would finally be the generation where a Jetta R could appear. For the first time ever, this latest Jetta GLI uses the same underpinnings as the Golf GTI - in this case, the MQB platform. 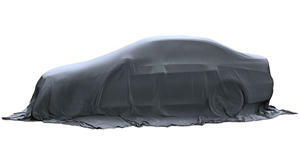 The 2019 GLI packs many features ripped straight from the Golf lineup including the 2.0-liter 228-horsepower engine, VAQ limited-slip differential from the GTI and 13.4-inch ventilated disc brakes from the Golf R.
So, could the GLI potentially share even more with the Golf R in the future? Even though VW has hinted at the idea in the past, we got the impression that a Jetta R is merely a fantasy. At the launch event for the 2019 Jetta GLI, we had a chance to speak with Serban Boldea, Director of Product Marketing for VW. When we asked if VW would ever consider adding all-wheel-drive to the Jetta or Jetta GLI, Boldea said, "I don't think there would be enough of a market for it." The 2019 Mazda3 will offer AWD for the first time ever, making it only the second compact sedan to offer this feature along with the Subaru Impreza. Although we think VW could easily steal sales away from Mazda and Subaru with an AWD Jetta, Boldea explained that the Jetta is a very price-sensitive vehicle. 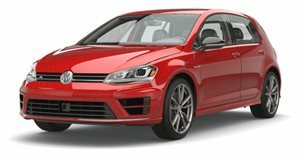 The most well-optioned GLI Autobahn trim with the DGS transmission only costs $29,995, so adding AWD would easily bump the Jetta over the $30,000 mark. Boldea seemed skeptical that the Mazda3 AWD and Subaru Impreza will represent a significant enough market to target with a Jetta. If Mazda has a sales hit with the AWD 3, perhaps VW will consider retaliating. Since a Jetta R would likely include AWD, it seems like the idea is no more than a pipe dream. Unlike the Golf GTI and Golf R, Jetta customers are far more sensitive to price, so an expensive Jetta R would likely turn buyers away. The Golf R continues to be sold in the US because it plays to a very different market. "Golf R customers aren't typical Volkswagen customers," explained Boldea. "The Golf R customer is much wealthier. They can buy an Audi but choose to drive a Golf R." Unlike a car from a luxury brand like Audi or BMW, the Golf R blends in and doesn't draw attention to itself. While we'd love to see this same formula applied to the Jetta, it doesn't make sense for VW.